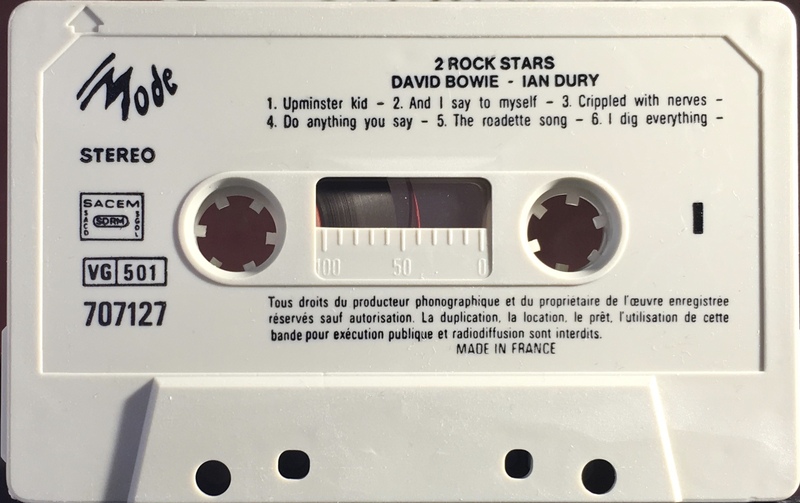 2 Rock Stars: France; Mode, 707127; 1982. 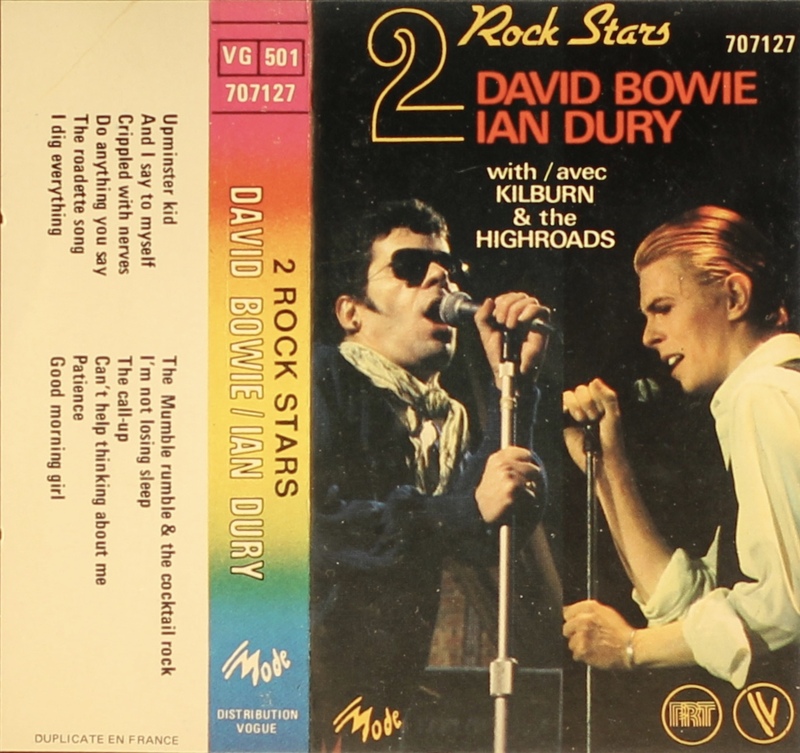 This album contains tracks from David Bowie and Ian Dury as Kilburn & the Highroads. Full panel cover photograph; multi coloured spine and white and rear panels on treated, folded card. 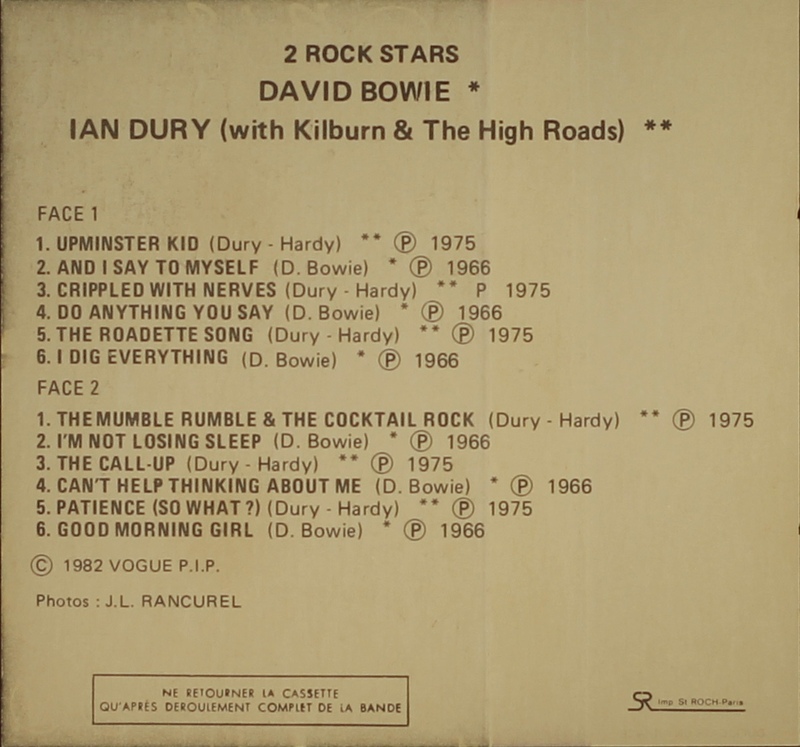 Track list on rear and inside panels. ‘Mode’; ‘Vogue’ (Mode’s parent label), and ‘PRT’ logos on cover. 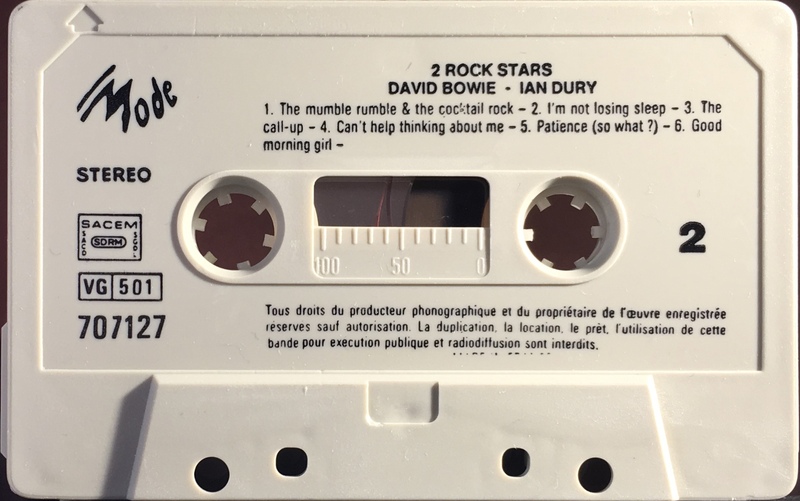 Black ink printed directly onto grey shell; SACEM rights; information in French and ‘Made In France’. Red ‘Vogue’ logo lead in tape. Side 1: Upminster Kid; And I Say To Myself; Crippled With Nerves; Do Anything You Say; The Roadette Song; I Dig Everything.